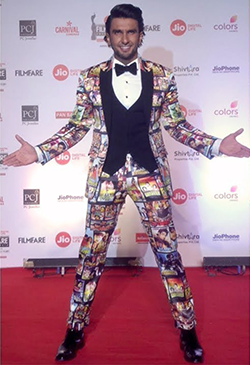 Ranveer Singh, who is well known for his crazy sartorial choices, sported an outfit at the 63rd Jio Filmfare Awards that only he can pull off! The actor paid tribute to the actors and films he loved when growing up. The suit featured posters of iconic 1980s and 1990s films such as Ajooba, Deewar, Ram Lakhan, Baazigar, Ghayal, Aankhen, Vastav among others. Ranveer’s stylist Nitasha Gaurav contacted menswear designer Karrtik Dhingra, who is known for his expertise in printing. Since the actor and his stylist both wanted his look to be cool, crazy as well as apt for the occasion, Dhingra brought the suit to life. Meanwhile, the actor also shared his unbelievable transformation on Instagram Friday. From his Alauddin Khilji look, the 32-year-old actor suddenly looks extremely skinny. Ranveer had lost oodles of weight for his upcoming film Gully Boy. His extreme transformation sent the Internet into frenzy, as his fans called him an “inspiration.” Ranveer’s trainer revealed last year that the actor works really hard in spite of his busy schedule. 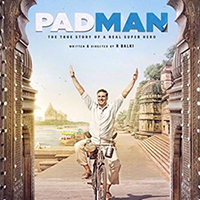 The most talked about film PadMan will hit theaters February 9. The film starring Akshay Kumar, Sonam Kapoor, and Radhika Apte is breaking the taboo around periods. The film is the biopic of a real-life hero Arunachalam Muruganantham who made a pad-making machine for women to provide them low-cost sanitary napkins that revolutionized women’s healthcare. The film has since its announcement created an interest among fans. Pad Man’s co-producer Twinkle Khanna read the story of Muruganantham online and was instantly drawn by the amount of struggle that the man had to do and his achievement. The revolutionary comedy tackles a subject that is still considered unmentionable or a taboo in many countries. Akshay took to Twitter, shared the poster from Pad Man and announced the date and time of the trailer’s release. “And it’s on the way! #PadManTrailer out today at 11:00 am. @PadManTheFilm @sonamakapoor @radhika_apte @mrsfunnybones @SonyPicsIndia @kriarj #RBalki,” he wrote. 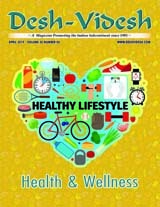 Akshay is seen cycling in the heat in another poster from the film. The actor plays an ordinary man dressed in a white shirt and light-colored pants with slippers. He portrays the 20-year struggle of a poor school drop-out from southern India to buy sanitary pads for his wife who changed the lives of women all over the world. 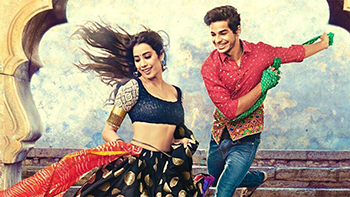 Jhanvi Kapoor and Ishaan Khattar’s Bollywood debut film Dhadak is all set to hit theaters on July 20. Karan Johar, who is producing the film took to Twitter Saturday and shared the news with his fans. “Six months to Dhadak #dhadak releasing 20th JULY 2018! Directed by @ShashankKhaitan and PRESENTING #Janhvi and #Ishaan @DharmaMovies @ZeeStudios_ @apoorvamehta18,” hewrote. KJo announced the release of the film with a poster in which Ishaan and Janhvi pose together. Dhadak is an adaptation of the acclaimed Marathi blockbuster Sairat. While the film marks Jhanvi’s debut, Ishaan made his acting debut with Iranian filmmaker Majid Majid Beyond the Cloud set in India. 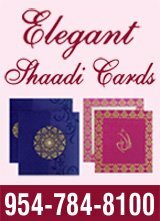 “The basic premise (of Dhadak and Sairat) is same. But there are variations. My story is based on another set up. It is (set) in Rajasthan. It comes with its own challenges, conflicts, and style of a love story. We are adapting Sairat into the world that we want to,” he said, talking to PTI. Khaitan said that both Janhvi and Ishaan are very hard working. The director added that these are the qualities he looks for in actors. A portion of the film has been shot in Udaipur, where Janhvi’s mother actress Sridevi had accompanied her. Janhvi will be seen wearing outfits courtesy Manish Malhotra in Dhadak. Sanjay Leela Bhansali publicly thanked Akshay Kumar for postponing his film PadMan. Bhansali’s Padmaavat after being passed by the Censor Board hit late January. PadMan has been postponed for release February 9. Akshay announced the postponement of his film at a press conference at his home Friday. Bhansali was present at the press conference and thanked the actor for indulging. “It’s confirmed that the film will release on February 9th. 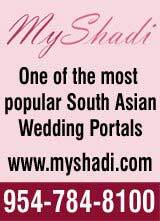 See there’s no point because more than mine the wait is theirs,” said Akshay. He added that it was necessary for Padmaavat to release on that day and there was no point in releasing both the films on the same day. “Their stake is much higher than mine. So I can wait,” he said. Meanwhile, Bhansali said he was grateful and indebted to Akshay Kumar for life. “I think the industry and the world can understand the place in which we live, is to be with each other, stand by and respect each other. And, I think the fraternity would be proud of what Akshay has done today. This kind of gesture would have been quite impossible in this industry,” said the director. The 63rd Jio Filmfare Awards for Best Actor and Actress were earned by Irrfan Khan and Vidya Balan at the event held in Mumbai on Saturday. 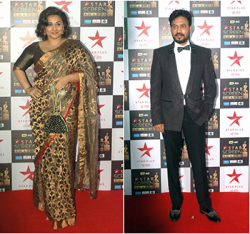 While Irrfan Khan earned award for Best Actor in a Leading Role (Male) for his performance in Hindi Medium, Vidya Balan won the award for Best Actor in a Leading Role (Female) for Tumhari Sulu. The nominees for Best Actor in a Leading Role (Male) inlcuded Varun Dhawan for Badrinath Ki Dulhania, Shah Rukh Khan for Raees, Hrithik Roshan for Kaabil, Akshay Kumar for Toilet Ek Prem Katha and Ayushmann Khurrana for Shubh Mangal Saavdhan. The nominees for Best Actor in a Leading Role (Female) saw stiff competition among the nominees Alia Bhatt for Badrinath Ki Dulhania, Bhumi Pednekar for Shubh Mangal Saavdhan, Saba Qamar for Hindi Medium, Sridevi for Mom and Zaira Wasim for Secret Superstar. Meanwhile Hindi Medium won the Best Film award, while Ashwini Iyer Tiwari won the Best Director award for Bareilly Ki Barfi. The other contenders for Best Director were Advait Chandan for Secret Superstar, Shashank Khaitan for Badrinath Ki Dulhania, Saket Chaudhary Hindi Medium and Shree Narayan Singh for Toilet: Ek Prem Katha.